Impurity testing is an essential part of pharmaceutical quality control because toxicity and content of impurities contained in drug products can impair patient safety. This requires suitable, validated analytical methods. 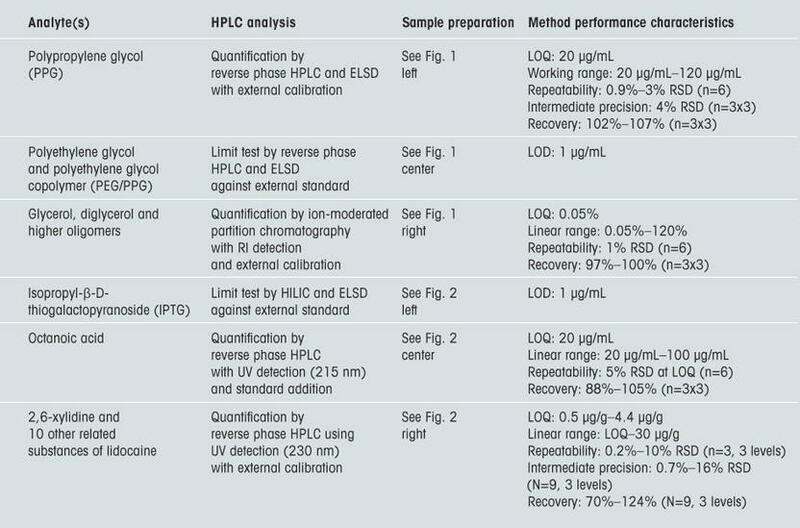 The selectivity requirements can pose a challenge when using HPLC with non-specific detection. Determining degradation products, process-related impurities or residues in drug products and in their raw materials, intermediates, APIs or excipients is an important element of pharmaceutical quality control. 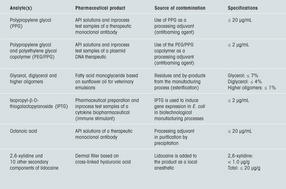 Suitable analytical methods are therefore needed to control impurities . For the validation of such analytical methods, the pharmaceutical quality guidelines always require an examination of specificity, both for limit tests and for quantitative methods [2,3]. As Vessmann states rightly, only a few methods are specific in the strict sense of the ICH Directive’s definition , i.e. have “the ability to assess unequivocally the analyte in the presence of components which may be expected to be present” . 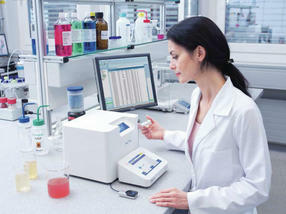 Therefore, lack of selectivity of the applied analytical methods is a critical factor. 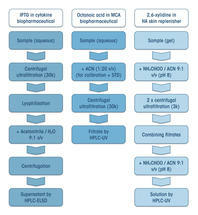 If liquid chromatography is used for impurity testing in pharmaceutical products, then not only the selectivity with respect to the chromatographic separation and the detector resolution can be considerably increased by state-of-the-art analytical systems, such as UPLC coupled with high-performance mass spectrometers, but sensitivity is enhanced at the same time. However, depending on the analytical challenge, using such systems is not always advantageous due to the significantly higher costs compared to conventional HPLC coupled with, for example, UV detection. HPLC can determine even analytes with little or no UV activity down to ppm levels using UV, refractive index (RI) or light scattering detectors (ELSD) if an appropriate sample preparation strategy is used. Chromatographic interferences can usually be significantly reduced or completely eliminated if it is possible to remove interfering matrix constituents on the basis of differences in physicochemical properties prior to HPLC analysis. 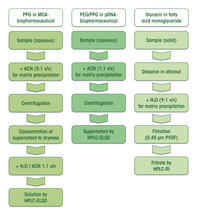 For example, differences in solubility (Fig. 1) or in molecular weight (Fig. 2) can be utilized for this during sample preparation. A few exemplary analytical challenges (Tab. 1) will show that such techniques can be quite simple to perform. Quality control of biopharmaceuticals also includes tests for residues resulting from the biotechnological manufacturing process. In HPLC analysis, methods that are employed for the isolation of proteins can also be used during sample preparation if, for example, biopharmaceutical active ingredients are causing interference. Acetonitrile, for example, can be used to precipitate proteins from aqueous samples. Subsequent centrifugation can be sufficient to allow the supernatant to be analyzed directly by HPLC, else a concentration step must follow to achieve the necessary sensitivity (Fig. 1). In this way it is possible to determine by HPLC-ELSD residual antifoaming agents (polypropylene glycol or copolymers of polyethylene glycol and polypropylene glycol) originating from the biotechnological production process that are contained in biopharmaceuticals. Such substances can be determined both in drug substance solutions as well as in samples for in-process control of monoclonal antibodies or plasmid DNA by liquid chromatography using C5 or polyhydroxy methacrylate stationary phases (Tab. 2). Macromolecular matrix constituents can also be selectively and easily removed by ultrafiltration if, for example, the analyte is co-precipitated during acetonitrile precipitation, resulting in poor recoveries. Ready-to-use units for centrifugal ultrafiltration are very well suited for this. These are available with different membrane materials, with defined molecular weight cut-offs and in a variety of sizes, enabling different volumes down to a few 100 μL to be handled. Again, a single ultrafiltration step can suffice or further work-up steps need to follow (Fig. 2). 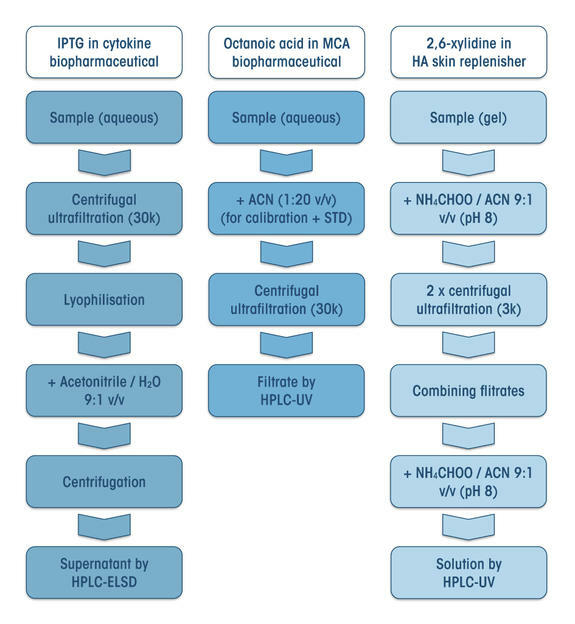 Octanoic acid, which is used as an aid in protein purification via precipitation, can be determined by HPLC-UV using a C8 stationary phase directly in the ultrafiltrate (Tab. 2). For a limit test of a biotechnologically produced immune stimulant using HPLC-ELSD to test for isopropyl-β-D-thiogalactopyranoside (IPTG), which is used to induce gene expression in Escherichia coli cultures, ultrafiltration alone will not remove all interfering matrix constituents. Only by adding a precipitation step after ultrafiltration can hydrophilic interaction chromatography (HILIC) be used to test the aqueous API formulations and various samples from the downstream process for IPTG without chromatographic interference (Tab. 2). The methodology used to analyze biopharmaceuticals by HPLC whereby macromolecular constituents are removed by means of centrifugal ultrafiltration can also be applied to completely different analytical challenges. 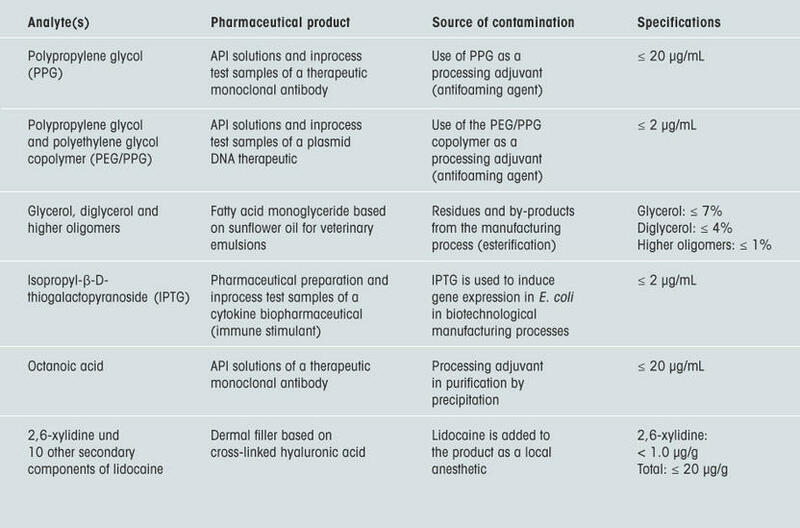 For HPLC-UV determination of 2,6-xylidine and ten other known related substances of lidocaine, added to a hyaluronic acid dermal filler gel in the form of the hydrochloride as a local anesthetic in small amounts (0.3%), with sufficient sensitivity (LOQ: 0.5 to 4.4 μg/g), removal of the hyaluronic acid is essential due to the otherwise significant concentration in the solution. Centrifugal ultrafiltration has been successfully established as a method for this purpose (Tab. 2). 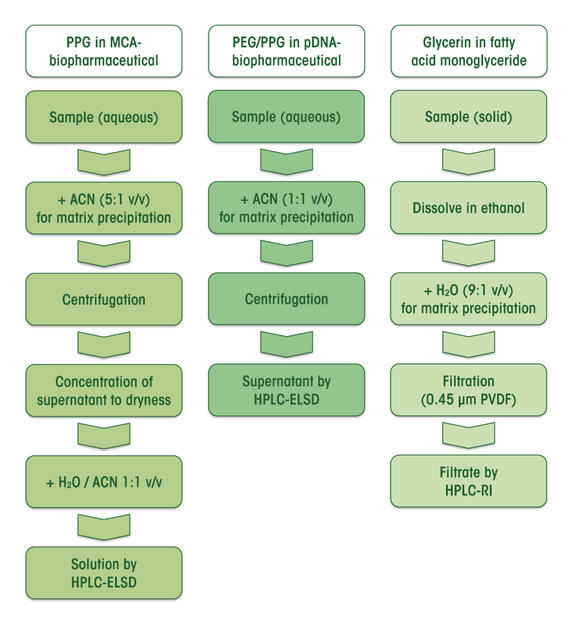 A further example to show how solubility differences can be used to achieve simple, efficient and selective sample preparation is the determination of free glycerol, diglycerol and higher oligomers in a fatty acid monoglyceride, which is prepared from sunflower oil and used as an emulsifier for the formulation of veterinary products, by means of ion-moderated partition chromatography. The separation of glycerol, diglycerol and other glycerols up to hexaglycerol is possible at a cation exchanger stationary phase (H-form), if the polar analytes can be isolated from the non-polar sample matrix beforehand. To do so, the lipid components of the sample are precipitated from an ethanolic solution by mixing with water and removed by filtration (Fig. 1). The filtrate can subsequently be analyzed directly by HPLC-RI (Tab. 2). 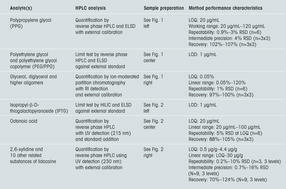 Conventional HPLC with non-specific detection (e.g., RI or ELSD) or with not particularly specific UV detection in the low wavelength range can be sufficient to detect contaminants in pharmaceutical products at trace levels with sufficient selectivity if interfering matrix components are removed beforehand using suitable sample preparation techniques. Even relatively simple steps, such as precipitation with subsequent centrifugation or centrifugal ultrafiltration, can help to develop robust methods that fulfill the necessary requirements for sensitivity, precision and accuracy (Tab. 2). The author would like to thank the many colleagues in the group “Small Molecule Analytics” at Solvias AG who have worked on developing and validating the methods and procedures. This article would not have been possible without Roger Fischler, Sven Gärtner, Michael Jakobs, Anita Lutterotti, Rémy Metzger and Michèle Suter. Within Solvias AG, supplier of chemical-analytical services for the pharmaceutical and biopharmaceutical industry, the group “Small Molecule Analytics” is responsible for developing and validating GC and HPLC methods for assay, purity, related substances and residual solvents determination as well as for conducting stability studies on drug substances and drug products in the field of the analytical development of drugs based on conventional active ingredients, i.e. chemically produced small molecules. In recent years, the group has increasingly also developed and validated analytical methods for the determination of excipients and process-related impurities in biopharmaceuticals.